Crib Size 60"x46" Request Loft Quilters Dream 100% Cotton Batting. 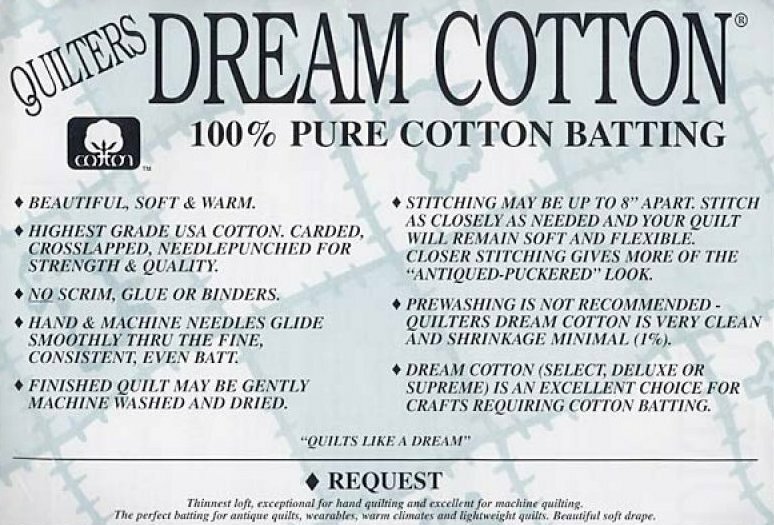 Once you try Quilters Dream Cotton Batting, you won't choose anything else! It drapes beautifully can be stitched 8" apart. "Request" is a very light, low loft batting. Needles glide like butter. 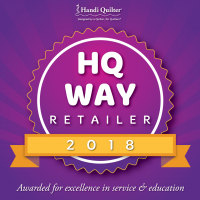 Exceptional for hand quilting. 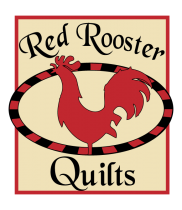 Very good for short arm machine quilting. No pre-washing necessary. Only 1% shrinkage in a cold wash, air dried. 3% shrinkage in a warm wash, warm dry. Remember, your pre-washing and selection of fabrics and thread will also effect shrinkage.